Hello! I’d love to join your group! I just saw your website, It’s too late to go today, but want to come along next tuesday. Could you guys tell me how I can get there by bus from city center, please? The 16/16a/9/83 and 122 and a few others all stop there. Im delighted to have found your site. I would really like to come along next Tuesday 29th Nov! Hi Sinead, Absolutely no problem. See you Tuesday! Welcome to Dublin! our classes recommence next year on tues 10th Jan at 7, hope to see you there! Hi No Drama, I am very interested in joining the group. Would it be possible to come along for a workshop this week? Hi Ive always wanted to join a drama society but there arent many in meath and ive always been a bit nervous and shy. Is it really ok just to drop in on a tuesday? Hi Sorry I never got a chance to make that class. Would it be at all possible to come along next Tuesday? Hi guys, do you still run the workshop every Tuesday at 7 pm? Is it in the primary school of CBS? Hi, I was wondering if I could come along next Tuesday night, it’s at 6.45 isn’t it? I’ve never done acting before, does that matter? Hi Cath, Engie Yes Tuesday 6.45. Experience( or lack there of not an issue, see you there! Hi Annie, Yes absolutely you should come along! hope to see you there. I moved to Dublin some months ago. I have some experience from when I was much younger. I used to attend Stage Coach in Malta and was in a couple of performances. This was a good 10 years ago so I’m very rusty. Do you have classes for beginners? We cater for beginners every week, come along to our next Tuesday workshop, besides it’s like riding a bicycle, you never forget! hello…was just wondering if ye are still running? 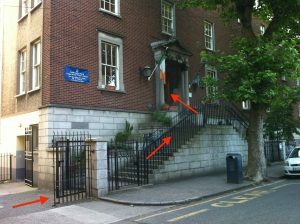 Hi johnp135, we sure are, every tuesday 6.45 Synge st. CBS. hope to see you there! Hi, I was just wondering if you guys are still running and if so if its ok to tag along next tuesday evening?? What is the date of the next class in January? I hope you are still welcoming new members and that your last production went well! I saw a discussion on boards talking about setting up a drama club in Dublin and it led me to your website. Its brillant that there is a club like this out there. I only found out about your club literally now and have plans made tonight but defo next week Tuesday the 29th if you will have me! I am about to arrive in Dublin, can I join you next Tuesday? I was wondering is it okay just to turn up on a Tuesday or do you need to book in advance? You are very welcome to come along any Tuesday at 6.45pm. The workshops that we hold are independent of the production that we are putting on. It is just as good to join in November as it is in December. We are still looking for people to fill roles backstage, if you are interested. It is perfectly fine to just turn up. I would like to know when do your workshops restart in 2014? I’ve never been but would like to attend. Workshops restart this Tuesday (7th January). I would like to know when do your workshops start in 2014? I’ve never been and would like to attend, but I m from Argentina and I don’t Know if my English is good enough. Is it possible to join the workshop this evenong by chance? If so see you this evening! Hi, myself and a friend are very interested in joining up , however, due to work shifts some weeks we would only be able to get there at around 7:15, would this be an issue? Most weeks you’ll just squeak into the workshop around that time. Doors close at 20 past and the workshop may already have started. I am very interested in joining your theatre group and attending a workshop. Are they being held throughout the Summer and are you taking new members? Are you meeting tomorrow at 7pm? I’m very interested in joining. Yes we are meeting today at 7pm at Synge Street CBS. I am interested in joining, Would it be ok to turn up next Wednesday? We don’t have any workshops on Wednesdays but there will be a workshop next Tuesday from 7pm that you are more than welcome to come along to. im interested in joining your work shop . myself and 2 friends have just finished a year course in the Gaiety school and are look for a workshop to keep us fresh , i know your workshop in on Tuesday that’s not an issue for us , we are just hoping you’d have room for us ?? Sorry for taking so long to get back to you. There will certainly be room for you. However, you should note that tonight’s workshop is going to be the last for a few weeks while we break for the summer. We should be back again in mid August. Hi there. I’d love to join your group. I won’t be able to go to the first workshop mid August but would be able to start after that-would that be ok? Yes, that’s no problem at all. We are always open for people to come along to our workshops at any time of year. We should be starting workshops again on Tuesday 19th of August. It’s perfectly fine to just drop-in to a workshop. We usually let people at their first workshop in for free so they can see how they like.